I'd also rather see the existing combiners upped to Titan Class rather than Devastator and Predaking shrunk down. We're never getting MP combiners so may as well take advantage of having a design team that's so fixated on G1 accuracy in Generations to get a good MP placeholder (like the UW Constructicons are for me). Probably never happen, but I can dream. That would be really expensive (though it would give the titan class a long list of possible releases...) but wouldn't the scale be off for mp? Omega supreme should be an in between leader and titan figure if not a titan to scale with devastaor. At this point, skorponok should scale with fortress Maximus and tripticon..
To go back and revisit chug characters that need a fresh figure, ratchet and iron hide definitely top that list, grapple and inferno would be nice (following the current trend of staying closer to the original toys. Though the recent combiner inferno makes me doubt that will happen any time soon. Actually, I'd really like a Cybertronian Bee, Wheeljack, and the seekers based on the G1 cartoon. Official ones, not 3P. How about an "evolution Titan class" Scorponok, where a leader class Scorponok based on his Lost Light design forms the shoulders and chest of a full Titan, based on the G1 Toy? If possible, the titan's head would turn into fast track. I personally really want a Titan or Leader Tidal Wave, and a Unicron, preferably based on the Alex Milne design for IDW. The Autobot targetmasters are begging to be done, as is Flywheels. And I really want a Star Saber, Deathsaurus, and Road Caesar. Leader Thunderwing anyone? Especially if it's done with the PotP "evolution" gimmick. Emerje wrote: I'd also rather see the existing combiners upped to Titan Class rather than Devastator and Predaking shrunk down. We're never getting MP combiners so may as well take advantage of having a design team that's so fixated on G1 accuracy in Generations to get a good MP placeholder (like the UW Constructicons are for me). Probably never happen, but I can dream. I wouldn't expect them all at once, more like something to do with Titan Class when they run out of giant characters to make. Scale with MP would be terrible in alt mode, but bot mode and combined mode would scale well. The MP Autobot cars are basically Voyager size, as are the Titan Constructicons (save for Longhaul) and I would think a five member team's limb members would also be around Voyager size. Likewise I would think the leaders/torsos would probably be around the same size as MP Starscream so it works pretty nicely. At the same time a Titan Omega Supreme should also look really good with both MPs and Generations in bot mode. Unfortunately, odds are we'll only see about one or two of those on the wishlist and the rest will be cybertronian modes of the '84 Autobots and some Decepticons. With any luck, we'll see some interesting things with retooling/reshelling but my I'd trying to keep my expectations low. Skritz wrote: Unfortunately, odds are we'll only see about one or two of those on the wishlist and the rest will be cybertronian modes of the '84 Autobots and some Decepticons. With any luck, we'll see some interesting things with retooling/reshelling but my I'd trying to keep my expectations low. This is my fear for the line. Cybertronian alt modes is the perfect time to dip into other corners of the franchise. Bring things back to being Generations instead of another retread of the first. I'm hoping we get at least a 50/50 mix of '84 rethread and their retool/reshell into some interesting late G1 stuff, such as maybe turning the mandatory Optimus of the line into, say, Thunderclash. That would be the best case scenario. All i just wanted an updated of him being a Titan Class. just throwing in another vote for flywheels - I hate having half a set or a counterpart missing.. I'd be surprised if we didn't get flywheels in the next couple of years. I'm pretty sure we will see the hinted at Thunderwing out of TR skyshadow, probably with little to no retooling. Wouldn't mind seeing a new Raiden at titan class scale seeing as the autobots havent had a Titan class combiner yet. blackeyedprime wrote: I'm pretty sure we will see the hinted at Thunderwing out of TR skyshadow, probably with little to no retooling. Wouldn't mind seeing a new Raiden at titan class scale seeing as the autobots havent had a Titan class combiner yet. I think Raiden is a little bit too obscure for Generations. 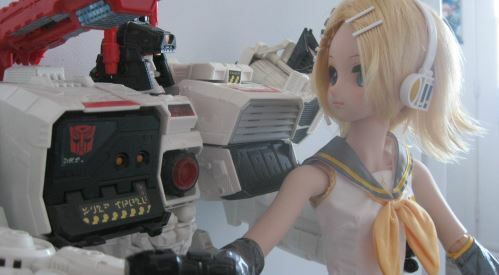 I could maybe see it if IDW had reinvented Raiden like they did with Overlord and Star Saber, but otherwise I can only see a Generations Raiden happening when John Warden and co are left frantically scraping at the very bottom of the late G1 barrel as they try desperately to avoid making any more toys of Beast Wars characters. I think Raiden is a little bit too obscure for Generations. I could maybe see it if IDW had reinvented Raiden like they did with Overlord, Star Saber and Deathsaurus, but otherwise I can only see a Generations Raiden happening when John Warden and co are left frantically scraping at the very bottom of the late G1 barrel as they try desperately to avoid making any more toys of Beast Wars characters. That, and I'm not sure how a combiner of trains is going to work with a more Cybertronian aesthetic. It definitely wouldn't be the Raiden fans would want. I just want SDCC to happen soon so we at least get an idea of what Hasbro is doing with "War for Cybertron" beyond making Mirage (again) and Impactor. Or if the brand unification hadn't come about and Takara had decided to do Raiden by themselves for their market. And finally, I recently discovered that, according to this scale chart, Raiden's animation model from The Headmasters cartoon is actually larger than the average combiner size, particularly larger than both the 5-member Scramble City combiners and the likes of God Ginrai, Overlord, BlackZarak, Grand Maximus, King Star Saber, Victory Leo, Road Caesar, Landcross, Deathsaurus, Dinoking and Dai Atlas. The only ones who come close to his height are Victory Saber and Liokaiser (who just barely reach the same height as Raiden) and Galaxy Shuttle (who is about two heads taller than Raiden). I personally want to see a new Ultra Magnus and Galvatron. If they do more rival pairings like they did with the vote a while back, they would be the first pairing I want to see, especially since their rivalry hasn't been touched upon in media since Regeneration One. 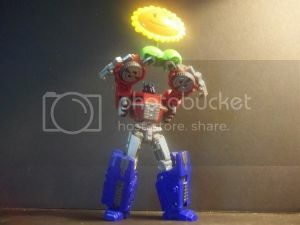 Also, this is quite out there and I seriously doubt it will happen, but since the line is called War For Cybertron, even though it has no connection to the game, wouldn't it be cool to see a new voyager Foc styled Onslaught that could actually combine with the origin Foc Combaticons. The original was the worst figure of the set in my opinion and the Military Titans figure is really hard to find. They'll just make a line entirely made of Bumblebees. We'll see the full Actionmaster roster before we ever seen a new toy for BW Megatron that isn't Botcon. Especially sad-but-true considering BotCon is no more. Oh well, at least the final BotCon gave us the long-desired TM3 version of BW Megatron, and we do have the MP to look forward to. I'd sell a few organs to get a Botcon TM3 Megatron but even that might not be enough.